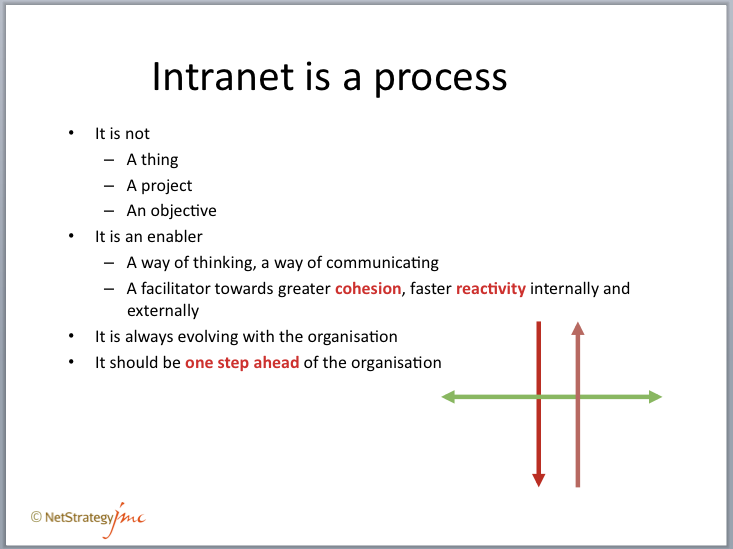 I used the slide below in a workshop I ran in London in December 2005 on globalization and large, complex intranets. A participant in the workshop told me I could run an entire workshop around this single slide. 1. You need 3 flows of information – top down, bottom up and horizontal. 2. If one of the three is missing or weak, your intranet (and your organization) is missing something.